I miss everybody!!! We’ve been back home for exactly one month now and school is in full swing. 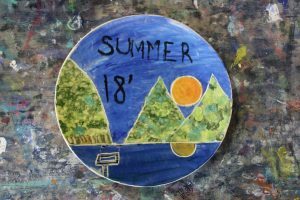 It’s a perfect time to recap what a great time you had at camp during summer 2018. This way, when you are feeling ‘campsick,’ you can think back to these top choices and smile knowing that the countdown is on to next summer. Fill out your list and keep it close. We’ll be back together before you know it! !